Daily Dzynmkr: Cheers for the year in beer! Cheers for the year in beer! As you all know...if you read my blog (or know me personally), we enjoy a good beer in my household. And I don't mean Budweiser, Miller, Coors Light or any of that weak stuff! I mean imports, micro brews and beer that's been "crafted". Companies that put as much thought into their packages and names as they do their taste. 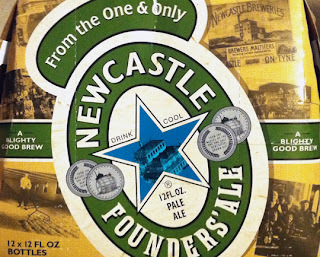 Recently, I found the newest (Spring) release by Newcastle in the grocery store. 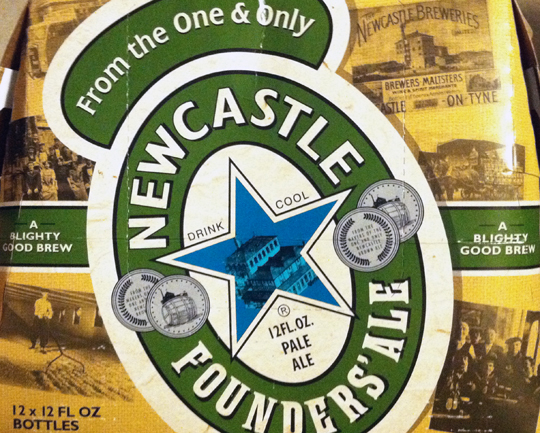 It's called Founders' Ale. It's a very refreshing, "milder" version of the original. If you enjoy a pale ale or belgian white (such as Blue Moon, Shock Top) this is the beer for you. I tend to like a beer I can add a slice of orange or lemon to, and this is it. This is one of four different beers they have. You can see the rest on my previous blog entry entitled - Newcastle Werewolf! Spring Blonde Wheat Ale and a limited Spring release - Valencia Amber Ale. Sierra Nevada's spring release is called Ruthless Rye. The winter release was called Celebration Ale. I am very happy to report that Sierra Nevada recently chose North Carolina for the site of its newest distribution plant. For those of you 21 and older, here's the news release straight from the company. Magic Hat Brewing Company seems to have the most fun "entertaining" its beer drinkers. From the packaging, to the bottle (under the cap), to the website - these guys know how to party. This Winterland Variety 12-pack includes: #9, Encore, Howl and Ravell (3 of each). 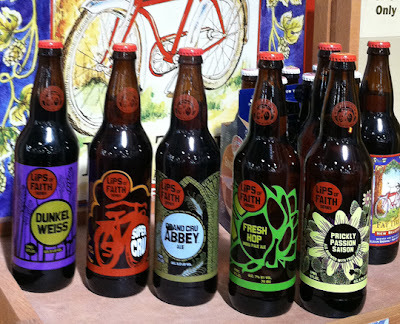 New Belgium Brewing Company is always coming up with a different brew. Their Lips of Faith collection covers something for every beer taste. Also, check out the other brews, such as Dig Pale Ale - it's the newest brew for Spring, ya dig? Before I go, I couldn't leave you without mentioning art. I spotted these two beauties at a specialty beer and wine store in the area. One of my favorite artist and all-around inspirations, Frida Kahlo, is featured on the box of this Mexican beer, Bohemia. I have no idea what it tastes like...but I HAVE to buy a six pack! It's a keeper! I was not familiar with Adrien Brouwer before seeing this beer (More info). But I loved the "story" on the bottle and had to take a pic. Well, I hope this post was more than enough to wet your palate and spur your creativity while buying beer. Experiment and try something new. You might even find your favorite in the least likely place. Until next time, Happy Drinking...and as always, be safe and drink responsibly!